Inkjet coder with up to two print heads and a 7 inch touch screen LCD controller. 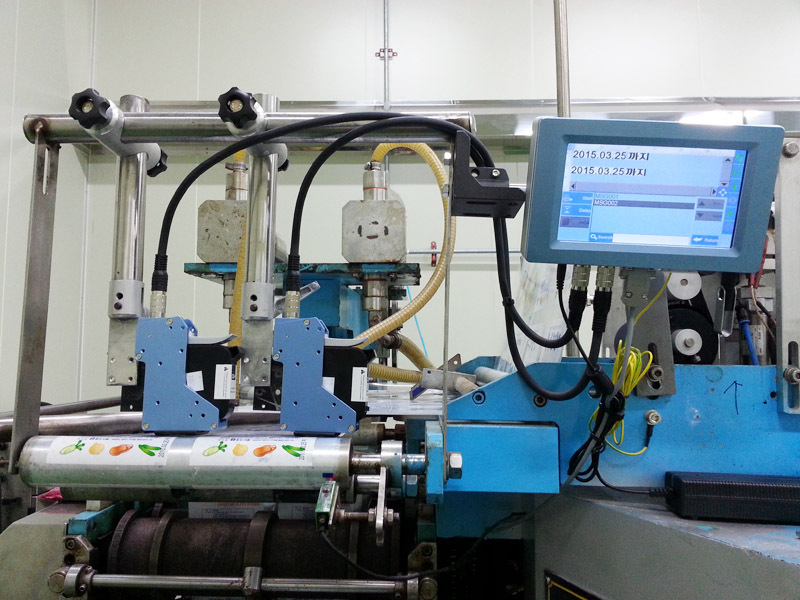 The setup can be configured with two print-heads stitched together to increase image height to 1 inch or two separated print-heads to print in separate areas. Can print up to 1 inch (25.4mm) with two stitched print heads. Stand-alone Print Heads Can print up to ½ inch (12.7mm) in two separate areas using two separated print heads. Aviation Connectors Cables utilize aviation connectors for high reliability and easy installation. New LCD The controller uses a large 7 inch LCD touch screen for easy and precise user interface. Selectable Languages English, Chinese, Japanese, French, German, Spanish, Portuguese and Russian. Fonts The default font is Arial. Other fonts may be uploaded by the user. Barcodes UPCA, UPCE, EAN13, EAN8, INT25, CODE39, CODE128, ENA128, PDF417, DATAMATRIX and QR. Additional Barcodes may be uploaded by the user. Supports variable barcode. PC Software’s Database MS Excel, MS Access, SQL2000, SQL 2005, SQL2008. Device’s Database Support RS-232, Ethernet and USB. Power Supply AC 90V-240V/50-60Hz, 90W (Dedicated AC). 3) DB15: For external devices like photocell, synchronizer or alarm kit connection. 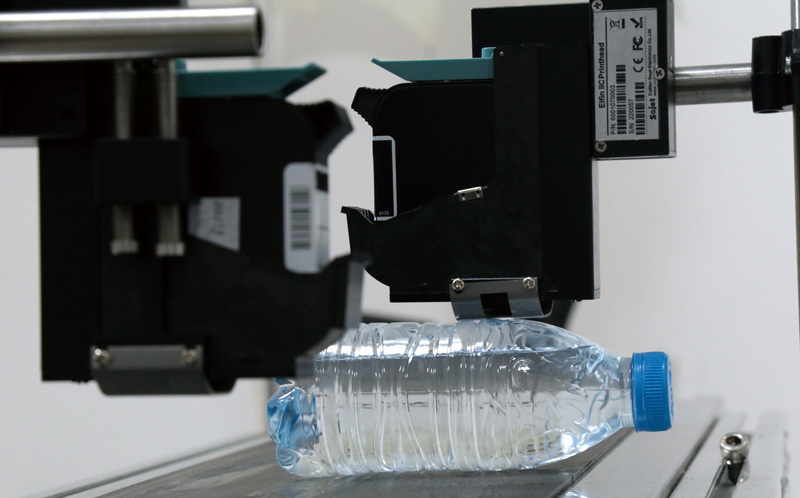 Printing Objects Barcodes, Character, Numeric, Logos, Date/Time, Expiry Date, Shift Code, Counter and Lot-Box Code. 3) Printer can work separately without PC software. 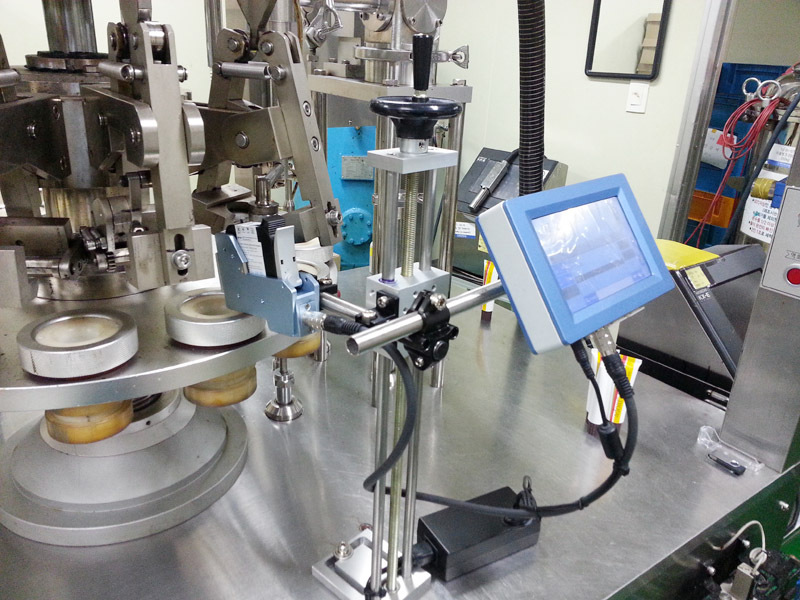 3) Automatic measuring system for ink usage. Mounting Standard side and downside assembly. 2) Storage Environment: -25°– +80°C; 10%-90% RH. Supports 42ml, 370ml and 350ml cartridges of HP TIJ2.5 technology. Supports various colors of ink: black, red, green, blue. Supports ink for porous, semi-porous and non-porous materials.